← Happy Turkey Day! Oh, and Spiced Nuts! Happy day after the big feast! 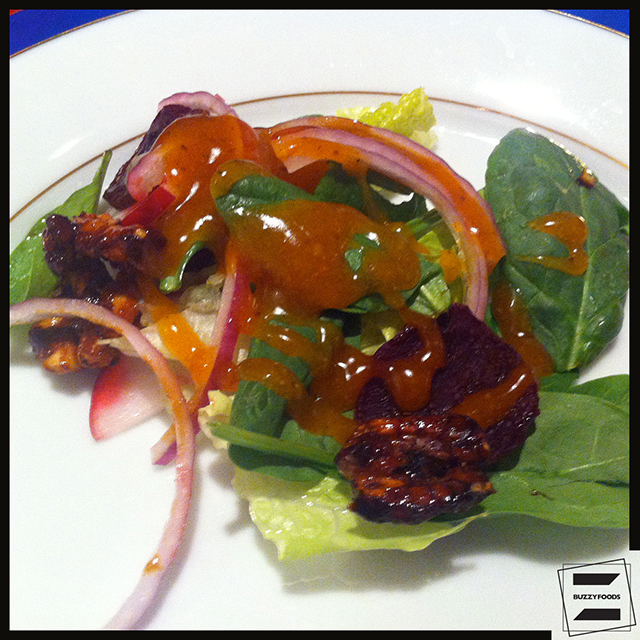 How about a salad I made for last Thanksgiving that I’ve updated just a bit; and a dressing I also featured a while back, but now with new and improved ingredients and cool background information? First, let’s talk about the salad dressing I featured last spring, which I first thought the product of a New England inn or tavern. 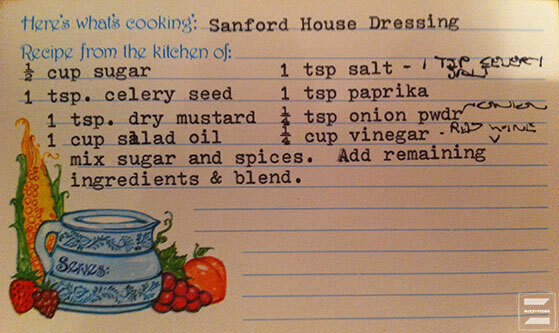 I have a hand-typed (let’s all think back before the days of desktop publishing, this was more than likely produced on a Smith Corona electric) recipe card – with the name – ‘Sanford House Dressing’ – and ingredients and little else. My Aunt Buzz was known to type, and to slouch about Sanford, Maine a bit with some old golfing buddies, so I just assumed the recipe came from her and the recipe from someplace over by there. Then I received a very nice email from a very nice lady named Sara, who gives tours of what looks to be a storied old home and inn – The Brown-Stetson-Sanford House – in Milledgeville, Georgia, a former capital of the state. Sara very convincingly proved to me that the recipe I had thought from my aunt in New Hampshire, was actually a version of a rather noted one from the house’s years as a tea room and restaurant. Here are scans of my card – with some notes from when I first got around to trying the recipe earlier this year – and the card that Sara hands out to folk touring the house – which is just a wee, tiny bit different than the recipe on my typed card. except I still used my blender to put it all together; and it was GOOD. 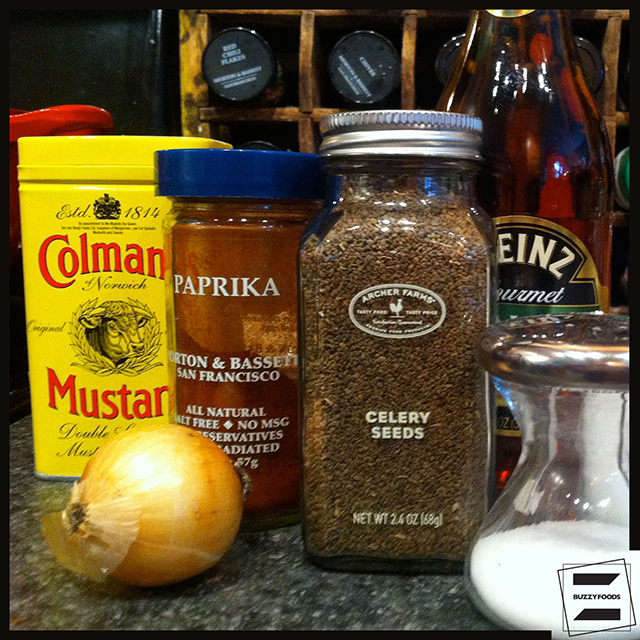 Combine everything but the oil in the jar of your blender and pulse to combine and liquefy the onion. 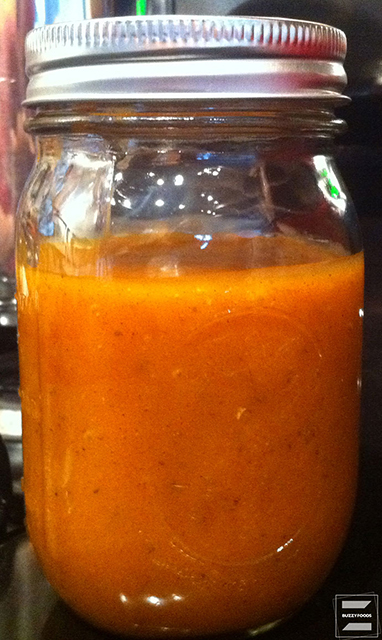 With the blender running, stream the canola oil through the top opening until the dressing emulsifies. Ideally, you should stash this in the fridge overnight to let the flavors combine. Dressing done, it was time to revisit the salad, which began with 2 cans of drained, sliced beets, which I tossed in coarse sea salt and popped in the oven at 350º for about fifteen minutes. 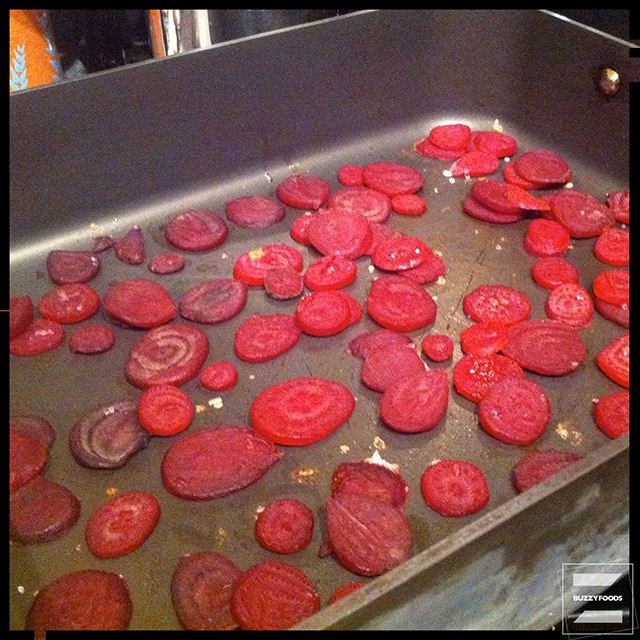 Beets deep, dark red and earthy smelling, I set them aside to cool in the fridge. 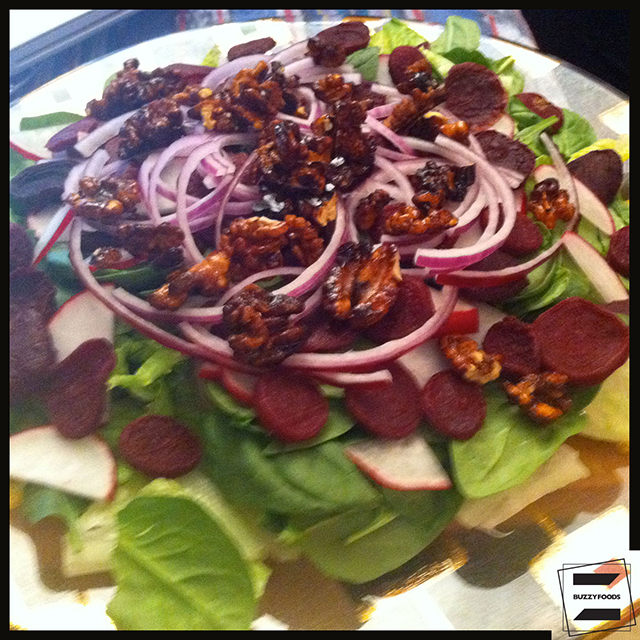 Just before dinner, I layered some freshly torn romaine and baby spinach on a platter, then topped them with the roasted beets, some thinly sliced red onion, celery, and radish, and topped it all off with a nice sprinkling of spiced walnuts. Sitting down to this salad – as a first or a third course (I don’t enforce strict menu order at a holiday table – especially when there’s a pregnant woman involved) – drizzled with a bit of the more-or-less-original dressing, we were all quite happy with the results. Well, OK, so Rich didn’t go back for seconds, but anytime he comments ‘nice salad’ on something green and crunchy, it is a very good thing. 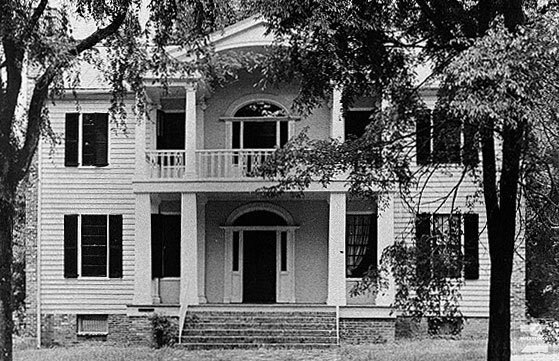 Check it out – and if you’re in Georgia, mebbe visit the Brown-Stetson-Sanford House. If you can no longer sit down to a meal and taste the original salad dressing, you can at least learn a bit, and meet some nice folk while you’re at it. 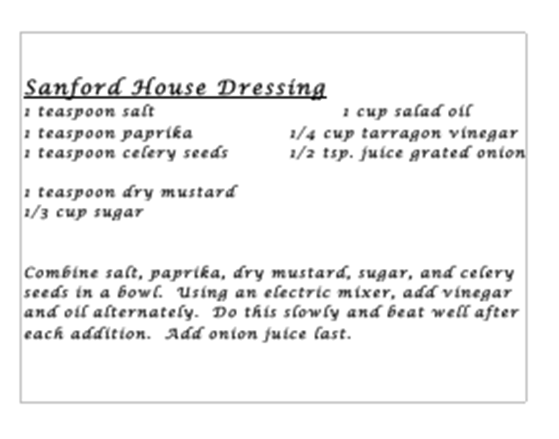 This entry was posted in Salad, Salad Dressings and tagged Parfait!, Roasted Beet Salad, Sanford House Dressing, Thanksgiving 2011. Bookmark the permalink. I may just have to visit you some day!! That meal sounded wonderful! !